The picturesque between politics and private life. B.C. Koekkoek’s Luxembourg landscapes for king Willem II. This article reconstructs and interprets the commission by king Willem II to painter B.C. Koekkoek, for a series of nine Luxembourg landscapes in 1845. Its genesis is seen against the background of Willem’s patronage and art collection. On the one hand Koekkoek’s paintings confirm the usual image of the king as a nostalgic person, who collected out of a need to escape from the political reality. On the other hand, reading the paintings in the context of the political turmoil in Belgium and Luxembourg in 1830-1839 convincingly demonstrates that for Willem art could in fact have strong political connotations. Against the Catholics or the constitution? Catholic views on the April-movement of 1853. In the month of April 1853 agitation originated among protestants in the Netherlands about the restoration of the hierarchy of the roman-catholic church. Massive protest-movements sprouted up and cumulated in the presentation of the Amsterdam address to the king. As a consequence the cabinet-Thorbecke resigned and was succeeded by the cabinet-Van Hall, after which peace returned. An interpretation, which has dominated the debate for a long time, is that the April-movement was an attempt of orthodox protestants and the king to prevent – in whatever form – the catholic emancipation in the Netherlands. Moreover, according this interpretation orthodox protestants and the king tried to use the April-movement to reverse the liberal revision of the constitution of 1848. Recently, the tide of historiography is turning. Upon closer examination it appears all kind of motives played a role in the April-movement, such as considerations and feelings of political, religious and nationalistic character. The analysis in this article strengthens the new interpretation of the April-movement by adding the perspective of Catholics. It appears that the response of Catholics was dictated by several, sometimes contradictory motives: respect for the pope, gratitude for the obligingness of the cabinet-Thorbecke, relief that they were finally granted equal rights in relation to the protestants, and understanding versus incomprehension of the protestant protest. On the one hand Catholics had difficulty with the protestant unrest, as it seemed to be aimed against their emancipation, while on the other hand they were very understanding, because the protestants were saddled with a fait accompli which was introduced with great aplomb. Accordingly, the traditional interpretation of the April-movement as a reactionary response of orthodox protestants loses further ground. The Kinker Association in Liège (1886-c. 1913). The Kinker Association was founded in 1886 for the benefit of the many Dutch-speaking Flemings living and working in francophone Liège. Organizing lectures on a variety of subjects, the Association attempted to exert an emancipatory influence. Not only did it set up an extensive Dutch library but it also provided access to medical care and insurance. Above all, the Kinker Association wanted to boost the presence of Dutch-related cultural activities in the city. With its liberal sympathies and close links to the Willems Fonds, the Association met with opposition from various quarters, not least from the Catholic Church. 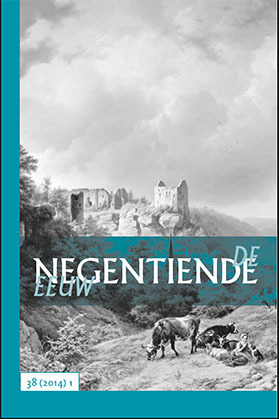 This article looks in detail at the genesis, and rise and fall of the Association, its membership and its place and appeal within the wider socio-cultural context of late-nineteenth-century Wallonia.